The school has tie up with Edu Sports, a national Level Integrated Sports Education Program that provides professional experts to mentor students in Sports. 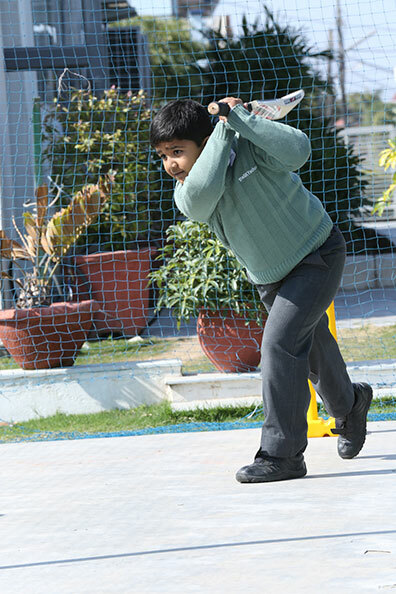 The aim to have Edu Sports in school is to offer the same rigor in sports as in academics. The Edu Sports professionals develop the right sporting skills and work on the fitness for life of students through positive sporting experiences. 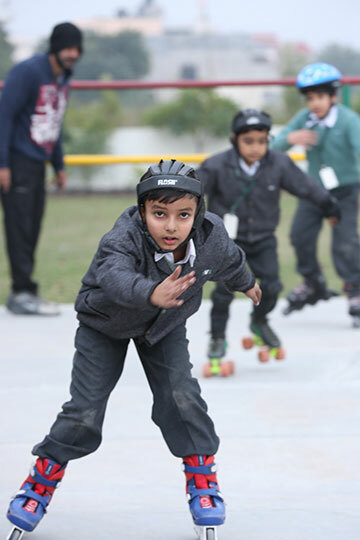 Students enjoy a variety of sports activities in the school. The following sporting activities are offered at the School. There are expert coaches in these games to guide the children. TheSKYworldschool is located in the foothills of Shiwalik range that serves an interesting topography, flora and fauna for expeditions. Educational camps are organized for children to explore, appreciate and connect with nature. This strengthens team bonding amongst classmates and helps them understand and value natural resources. It also teaches them adaptability and conservation.